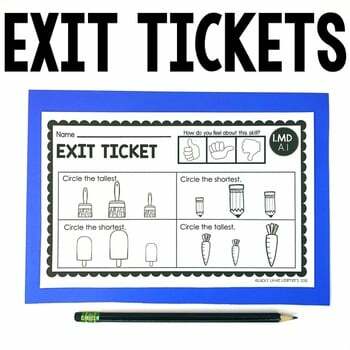 Exit Tickets are a great tool to quickly assess your students’ understanding of a concept. 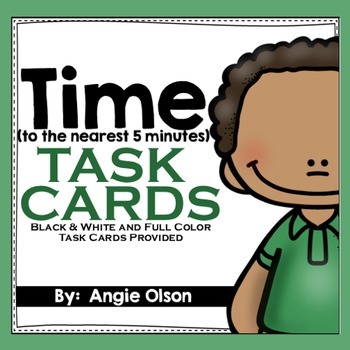 Exit tickets should take no longer than a couple of minutes to complete and they provide the teacher with valuable information to help guide their instruction. 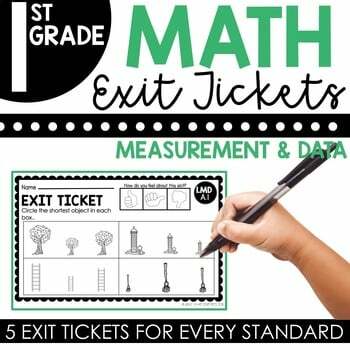 These 1st Grade Measurement & Data Exit Tickets are part of a discounted bundle that you can purchase HERE! 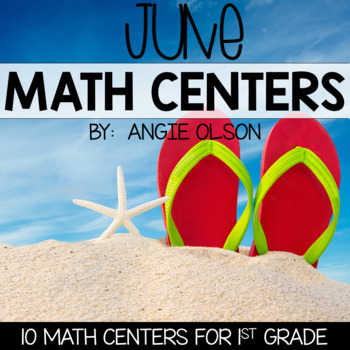 Please download the preview file above for a closer look at what’s included! There are 20 exit tickets in this set (5 different exit tickets per skill). Each page of exit tickets has 2 copies of the same exit ticket to save on paper. 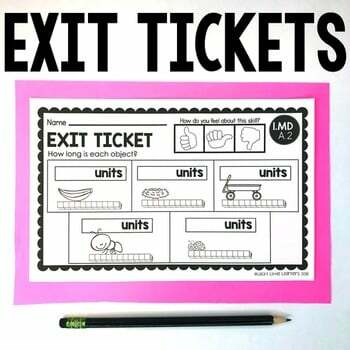 Each exit ticket has 3-6 problems on each sheet. The standard is listed in the top right corner of every exit ticket.